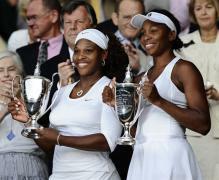 Serena Williams is big tennis star with a success of 12 grand slams, 4 mixed doubles grand slams, and 11 doubles grand slams with her big sister, Venus Williams as her partner. 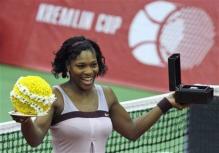 Serena is born on September 26, 1981 and is 5'9 ft tall with a strong body structure. Serena Williams boyfriend is rapper Common, and she currently lives in Palm Beach, Florida.